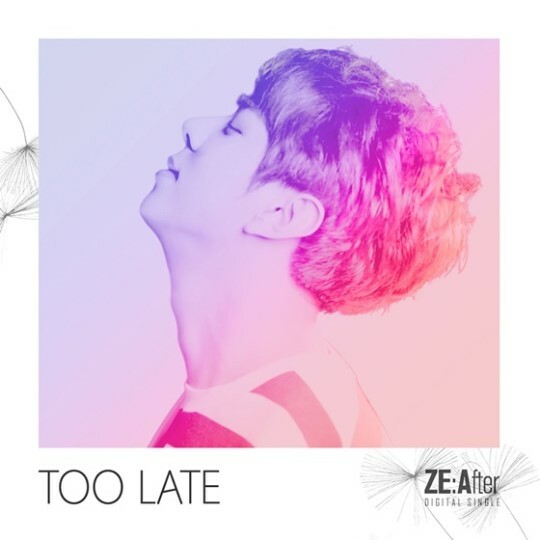 ZE:A's Moon Junyoung, also known as DJ ZE:After, will be releasing his first ever solo album on May 28th. Star Empire stated, "Following ZE:A's unit group ZE:A J's solo project, leader Moon Junyoung will be releasing his solo song "Too Late" on May 28 at midnight." The album, which contains three tracks, drops in both South Korea and Japan at the same time. The tracks for the album are the title track "Too Late", "For My Lady", and the intro track "Birth." Responsible for the writing, composing and producing of the album was the composing team SUPERMARKET, which also include Moon Junyoung.